Pour the frozen berries into a saucepan. Simmer on a low heat for 10 or so min. You want it to become soft and like a puree. Remove from the heat, add the chia seeds and honey/ maple syrup. Add more sweetener if you have a sweet tooth! 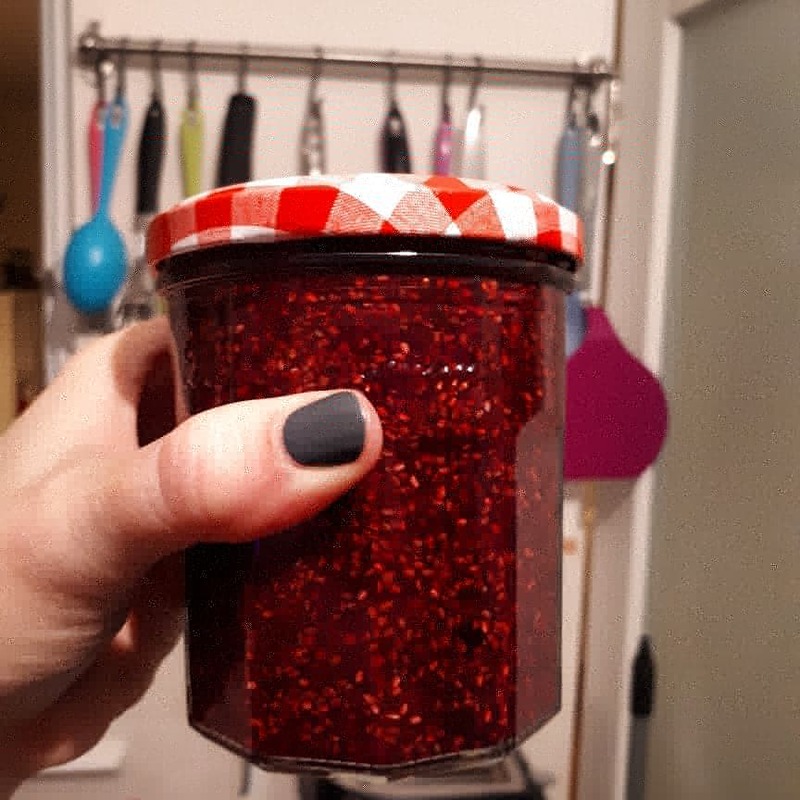 Pour into an old jam jar. Cool and then refrigerate. 1. Pour the soya yoghurt into a bowl. 2. Fill that now empty pot with oats. And pour the oats into the bowl. Repeat the process. 3. Now add the salt, baking powder, cinnamon (if you want to add it) and flaxseed/ linseed. Mix together. 4. Take a handful of ingredients, roll into a ball and place on a greased baking sheet. This recipe produces about 10 scones. 5. Bake in a preheated oven (175 degrees C) for 40 min. 6. 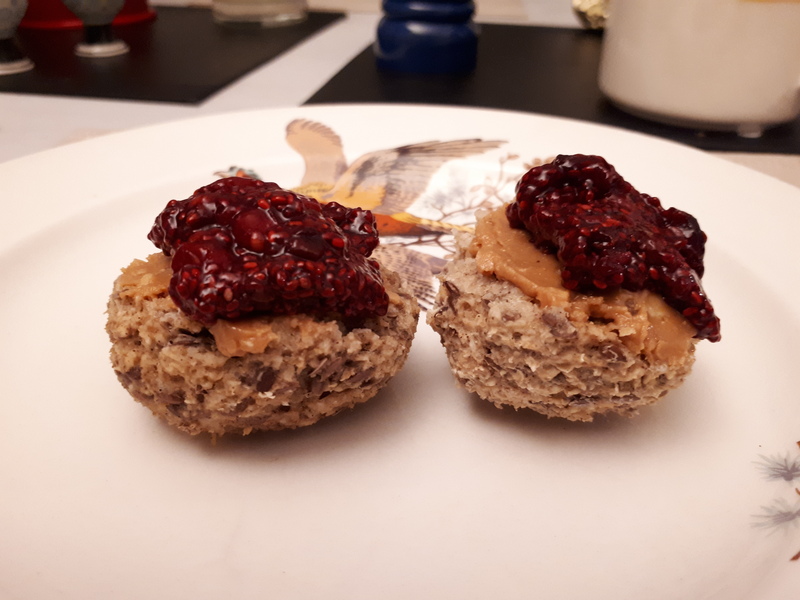 To make this recipe even more cholesterol lowering, layer with almond butter and top with chia seed jam.